Athlete’s foot, also known as tinea pedum, moccasin foot, or ringworm of the foot, is one of the most common fungal skin infections, often characterized by itching, flaking and scaling of skin between the toes. Although not a serious medical condition, it can spread to other parts of the body if left untreated, including palms and groin, and be transferred to other people too. Athlete’s foot is caused by dermatophytes, the fungi that inhabit dead skin layers and destroy keratin. As these fungi are anthropophilic, they prefer human hosts for their survival. The condition is most commonly caused due to T. mentagrophytes or Trichophyton rubrum, but can be caused due to Epidermophyton floccosum as well. Other than these, people with weak immune system, and those with health conditions like diabetes are more susceptible to develop athlete’s foot. The treatment options for athlete’s foot would depend on its severity and type. Non-prescription anti-fungals that can be used include clotrimazole, miconazole, terbinafine and tolnaftate, usually in topical form. If the condition cannot be relieved with these, you will be given prescription medicines in oral form, like butenafine, naftifine, fluconazole, itraconazole and terbinafine . In case of vesicular type infection, soaking your feet in Burow’s solution three times a day for 3-4 days is an excellent treatment option. Guys who workout are vulnerable and since the fungus thrives in warm, wet places, like the floors of gym locker rooms. 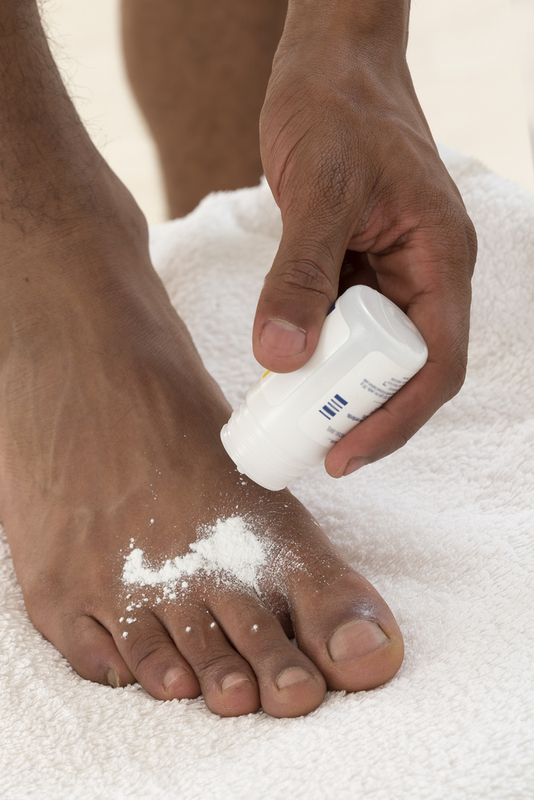 So, apply antifungal powder on your feet at all times, and never move around barefoot. Sun exposure of contaminated clothes is effective in lowering the contamination rate. So, never wear each other’s socks and shoes, and expose your feet to sunlight to keep them dry and clean . Other than these, always wear breathable shoes or sandals, change your socks two times a day, allow your shoes to air before you wear them again, and never walk barefoot in public showers and pools. With these steps, you can prevent athlete’s foot from occurring, and lead a healthy, active life for long.